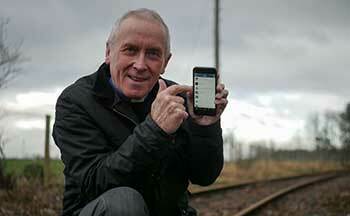 A former Moderator has officially become the Church of Scotland’s first ever digital minister. Very Rev Albert Bogle will use his ground breaking new role to create an online Kirk congregation, made up of people who may never set foot in a “real world” church. He hopes to vastly increase the number of congregations that use social media and other online apps because at the moment only around 20 out of more than 1,300 congregations stream their services online. Mr Bogle, whose weekly Sanctuary First podcast on faith has a global audience, was officially welcomed into his new role by Falkirk Presbytery recently. The 69-year-old, who was Moderator of the General Assembly in 2012-13, said: “This role is about getting online worshipers to attend church and also to support those who have no intention to go on a Sunday. “There is a growing Christian audience online who seek quality content to nurture their faith. Mr Bogle, who stood down from St Andrew’s Parish Church in Bo’ness in 2015, said every minister should be equipped with digital media skills but acknowledged that every congregation would have different needs. He added that there is “a God-shaped blank in all of our lives” and recognised that many people are seeking spiritual fulfilment online. Mr Bogle said he plans to meet with congregations across Scotland and urged parishes the length and breadth of the country to reach out for his support. He will also be holding offline ‘touching places’ where people can join him for Bible study, music, poetry and prayer. Three years ago when he was Moderator, the Church of Scotland’s Principal Clerk, Very Rev Dr John Chalmers, challenged the Kirk to find 100,000 new members by 2025 through the power of online platforms. He said he “greatly admired” Mr Bogle’s energy and enthusiasm in developing a new form of ministry. Dr Chalmers, who preached at Mr Bogle’s ‘service of introduction at Trinity Church in Falkirk, said: “What comes next for the Church is fraught with difficulties and it will be scoffed at by some. Dr Chalmers said Sanctuary First helped people “live balanced lives” and allowed people to “deepen their discipleship without bashing them into the shape of the church of the past”.